Actor Jason Momoa is in negotiations to join Zack Snyder’s Man of Steel 2 (popularly known as Batman vs. Superman), according to The Hollywood Reporter. There is no word on who Momoa is in talks to play, but that won’t stop the Internet (us included) from speculating. The 34-year old Momoa is, of course, best known for his role in Baywatch: Hawaii. No, we are not serious, but yes he was in it. To many he is fondly remembered as Ronon Dex on Stargate Atlantis, but it was his turn as Khal Drogo on HBO’s Game of Thrones that really propelled him into the spotlight. He followed that up by playing the titular role in Conan the Barbarian, an attempted reboot of the Conan brand. Following disappointing box office numbers, a proposed sequel was then put on hold. It was later scrapped when the former governor of California decided to reclaim the Conan mantle in the proposed, upcoming The Legend of Conan. There is no word on who Momoa may play, but based on his previous physically imposing roles, he would seem an odd fit for a random reporter at the Daily Planet. The obvious speculation then is that he is a villain … or maybe even another hero. But with the recent casting of Gal Gadot as Wonder Woman, it further confirms DC’s hope to emulate the Marvel movie plan by introducing multiple heroes that will all then appear in a Justice League movie. Three of the most important roles have already been cast – Henry Cavill as Superman, Ben Affleck as Batman, and now Gadot as Wonder Woman – and introducing more is a definite possibility. A source speaking to THR speculates that Momoa may be up for the role of Martian Manhunter, the shape-changing alien from Mars capable of telepathy, flight, intangibility, and several other powers. 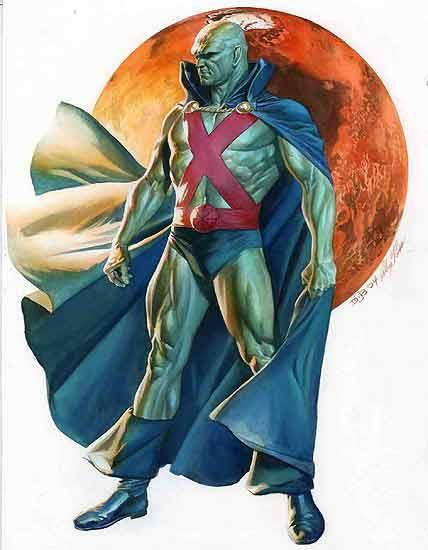 The Manhunter, also known as J’onn J’onzz, has frequently been associated with the Justice League in the comics. Or Momoa may be a reporter at the Daily Planet. At this point it is all speculation. Once the casting is official we may hear more, but if he is playing a villain the identity of Momoa’s character may be withheld for a while. The filmmakers have been tight lipped on who Batman, Superman, and now Wonder Woman will be punching in the face, so if Momoa is one of those bad guys, it may be a story spoiler the filmmakers hope to withold. In the meantime though, don’t let that stop you from speculating in the comments below!